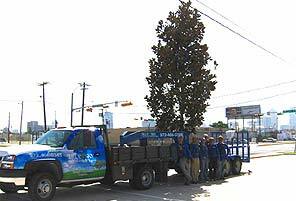 Blue Sky Landscape has serviced the DFW Metroplex for over 20 years. Our goal at Blue Sky Landscape is to create beautiful properties for satisfied clients.Our experience in landscaping, proper planning and landscape design in Highland Park, TX, enables us to select plants to your preference that will thrive in our soil and climate conditions. The use of Texas native plants and water-conserving varieties helps save water and looks great, too. Go to our plant library to get an idea what we would use to design your landscape. Visit our referrals page for written references if you would like more to know more about us. Would you like to learn more? Call Blue Sky Landscape today to find out more about our top services and landscape design in Highland Park, TX, and the surrounding DFW cities.